Women are women, not men, and deserve to follow their natural femininity. That's what Luna Yoga is about. The book isn't just about exercises; it's about attitude, an embracing empowering one. This type of yoga isn't new. It's an old philosophy and healing art. Indications show the origins of yoga to be feminine, but today yoga is thought to be a man's expertise. In a man's world women learn to look, think, act, and walk like a man. Adelheid teaches that there is nothing wrong with being a woman with natural body movements, with our moody moods and freely moving hips. Adelheid uses evidence with care and discrimination, but not everyone will be open to her theories. Some will call her a feminist and a New Ager, as if those are bad things to be. Some will refuse to hear her out. Luna Yoga is directed towards women seeking natural ways in healing and/or maintaining health, especially in the fertile and sexual areas. Adelheid presents the reader with well-constructed work that covers theories from research along with experiences that instruct, inform, and empower. She discuses technical and factual information gathered about her experience. Adelheid brings classic yoga together with Aviva Steiner's menstrual calisthenics and provides detailed instructions for breathing exercises, sketched illustrations, tribal fertility dances, and recipes. Her content is original, her style of presenting and authenticity of facts -excellent. She wrote Luna Yoga in second person making her encouraging words come alive. It began for Adelheid when a diagnosis confirmed cervical cancer and her search led to an alternative besides surgery. She studied her life style, lack of satisfaction with inner longings, and wondered if they had anything to do with the cancer growing inside her. "Cancer is a very strong signal. It shows you are bored with life." Therefore, Adelheid decided to quit her job, discover alternative medicine, and take time for herself. 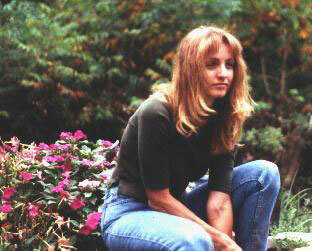 After she studied with Aviva Steiner, another test later revealed a class 1 PAP; healthy cells.
" Luna Yoga works by stimulating and tonifying the endocrine system. With great probability, due to the intense concentration on our sexual organs, a feedback cycle is formed with the pituitary gland which directs our entire endocrine system. The gentle sensing exercises, the focusing of our breath on the sexual organs, and the dances all help to regulate our hormones." " I went to Adelheid's class expecting the usual breathing, stretching, and meditating. What a delightful surprise to find myself in the midst of a quiet revolution in the way yoga is offered to women." " Adelheid writes of the importance of menstruation and the need for women to heal and empower themselves." 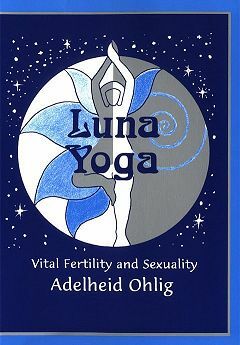 I'd never tried yoga before, but Adelheid's book inspired me to place my body into unusual positions. At first, I felt apprehensive, but later found the exercises liberating. I suspect further examination into this style of yoga is in my future. As a woman who believes women are as good as men, only different, I agree with her philosophies and exercises. A book worth looking into. Recommended. Christina Francine's published work has appreared in magazines, newsletters, newspapers, and the Internet. Fiction includes Fantasy, Children's, and Suspense. Non-fiction includes Herbs, Horses, Tips and Public-Awareness. She's published multiple book reviews for authors, publishers, and publications. Also software reviews. Her Motto: "Pursue Your Dreams and Live!"